Win up to $1,000 back on your project – 3 to be won! You are here: Home / Branding / Win up to $1,000 back on your project – 3 to be won! Consider a rebrand or business makeover with our current promotion! 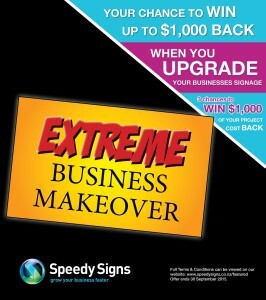 You can win up to $3,000 back on your project when you get upgrade or freshen up your signage! Inform, entice, and attract clients with sophisticated business signage. Image is important so take control of the brand of your business and create one with a point of difference. Branding is more than a logo. Brands encapsulate vehicle graphics, directional signs, interior and exterior building signage, window graphics, illuminated signs, and much more. Build a consistent brand and convey your core business messages through high quality and custom made signs! 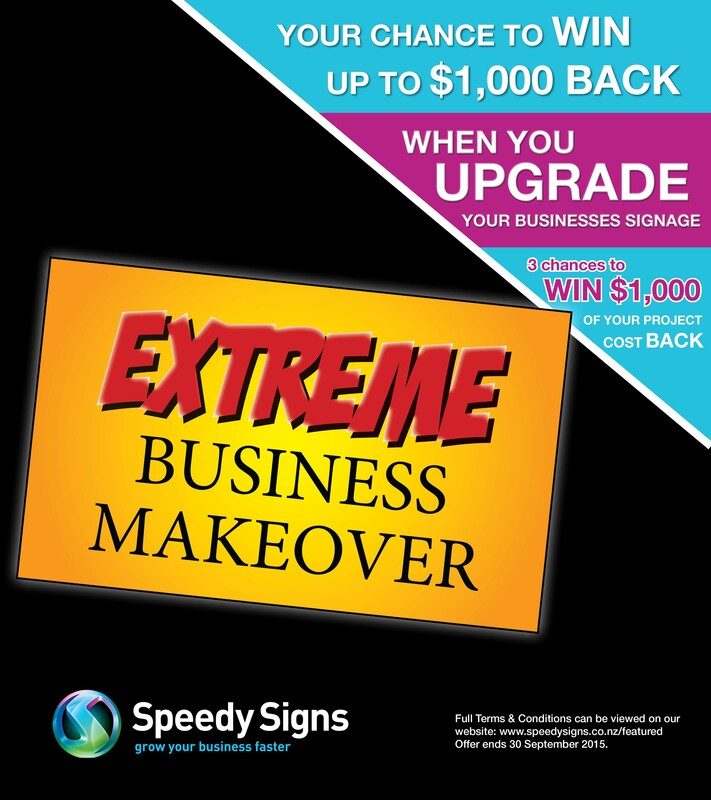 Plus, when you get your signage upgraded or rebranded in August & September you go into the draw to win up to $1,000 of your project cost back! There are 3 chances to win. Read more on our website. Contact your local Speedy Signs store to discuss your health and safety signage options, or to arrange an on-site visit from one of our friendly team.